- Studies have also shown that curcumin can be very effective in treating depression symptoms. 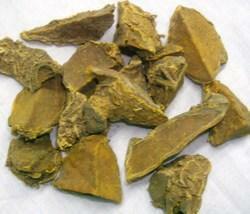 Our Curcuma Zedoaria is appreciated for stomachic and emmenagogic properties. It is widely used for the treatment for dyspepsia, colic, vomiting, cough menstrual hematometra and menstrual disorders. Moreover, our array is also used as restorative. Zedoary Roots are also known as white turmeric are extensively used as herbal components for various medicines, tonics and essential oils. Zedoary roots are also used for food spice and seasoning for its distinct aroma and taste. Trade name :: chanakkaya, kandankoova etc. We are engaged in providing superior quality Amba Haldi to our most reliable clients. These Amba Haldi are appreciated by large number of clients due to high quality and durability. These products are available in market at most competitive rates.